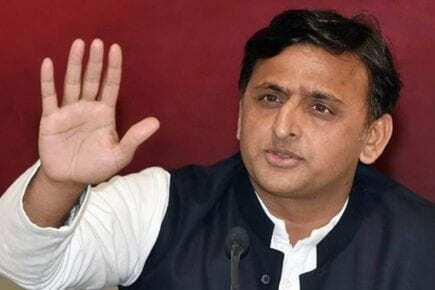 Accusing the BJP of having come up with central agencies like the CBI and the ED, Samajwadi Party chief Akhilesh Yadav on Saturday appealed to the opposition to come together and defeat the conspiracies being hatched to divide alliance partners into states. The former Uttar Pradesh Chief Minister said the matter of Prime Ministerial candidate will be decided by the people. He said with the starting of the new year, the country now was pining for a new Prime Minister. “How happy will the country be if it gets a new Prime Minister,” the Samajwadi Party (SP) leader said. “They (BJP) say look how many prime ministerial aspirants the opposition has. At times, they say we have a lot of grooms. My response to them is — We will see to it. Whoever people decide, will become prime minister,” Yadav stated at the mega rally of the opposition parties here. Stating to the alliance stitched by his party and the Bahujan Samaj Party in Uttar Pradesh, Akhilesh Yadav said “Now only a few parties have aligned. Wait for all parties to come together. We have seen how you (Modi) have forged alliances to come to power. “Now, we have brought all the best in the country on the under one platform, and we will prepare a beautiful bouquet,” he said. The SP chief said, unlike the BJP, the opposition has allied with the people of the country. “You are creating alliances with the CBI (Central Bureau of Investigation) and ED (Enforcement Directorate). But we have alliances with the people. And in democracy, whatever people decide, that happens,” he said. Yadav appealed to the leaders opposed to the BJP to remain vigilant about conspiracies that would be hatched to wean away their alliance partners. “Since my party formed the alliance with the BSP, the BJP is holding daily meetings to find ways and means of winning at least one seat in Uttar Pradesh. “The BJP knows it cannot win votes on the basis of performance. So it will hatch conspiracies to wean away from your partners. “I appeal to you to see through their conspiracies, and work to save the country, by strengthening your parties, and ensuring the victory of your candidates in the parliamentary polls,” he added.